Getting a Dynamic microphone soon? That's good, but here is a question, will any Mic just do it? Nethelpblog answers NO, of course I know too well that you need a Mic for something, it's that something you need to consider. That something is what this post is about. This is the first thing you need to consider, what type of mic are you after. There are mics for variety of uses, do you want for example a mic that's strictly for music, not just stage music but studio singing then the Nady PCM-200 is for you, this inexpensive mic, will blow your mind especially if you want an assessment of your voice when the people you're trying to impress are few. But if you want to go for those stage Mics that will aid you in thrilling the crowd and make the crowd go wow! 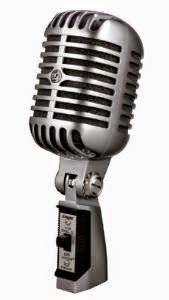 Then the Shure SM7B Vocal is ideal, it's kind of expensive but it's really worth it. This Mic amplifies user's voices, making even a bad voice seem good. If it's too costly try the Shure BETA 58A Supercardioid as it basically does same thing, although there is still difference. Next is to consider handling, though it bears Dynamic as its middle name, not all are truly dynamic, as handling can expose this flaw. You need a mic that won't give a howling sound or at least minimize it when in sight of speakers, in this case the Shure 55SH Series II Iconic which is a mic that is rugged, and can survive many handling. The Shure BETA 58A Supercardioid is also handy, for people who are moving a lot while delivering whatever. Although the above Mics can survive rough handling, it should not be a license for you to handle it any how, you should bear in mind that all professional Dynamic Mics are sensitive equipment, do not drop, hit it or apply shock to it, also take care not to store them in a place with high humidity or temperature. The optimum distance between the microphone and mouth should be from 5 to 10 centimeter. This is because if the Mic is too close to the mouth, the sound may be unclear with too much enhanced bass, or may be uncomfortable to ears with pop noise generated every time, the singer breaths in and out. Although all Mics tend to follow that pattern, requiring a certain distance between the mouth and the Microphone for good speech quality, some don't, that is why some Mics tend to prove stubborn, no matter how you keep it, it still won't be clear, always making both the handler and the audience uncomfortable with those pop noises. Fortunately the Nady PCM-200 can address that, just a little distance can get you what you want. If you want Microphone, then go and get them, but before you do that, you need to make sure the ones you're going for fulfills all or some of this three criteria. Note All the recommended Mics meets this 3 solid things you need to consider, however some are just point specific.